Both autophagy and programmed cell death (PCD) are fundamental processes of cellular maintenance that are closely interrelated in plant and animal cells under physiological and stressful conditions. Differentiation, immune response, lack of nutrients, and wide range of abiotic factors induce their development and realization of survival or cell death scenario. Microtubular cytoskeleton is known as one of the principle players in the mediation of PCD/autophagic signals. 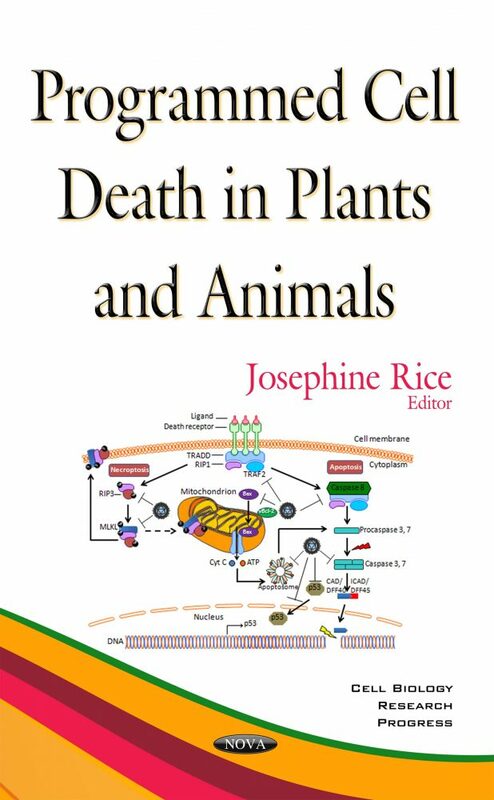 Chapter One in this book presents an overview of the current knowledge about the role of MTs in PCD- and autophagy-related processes in plants. Chapter Two reviews the mechanisms and consequences of virus interactions with the hotel cell-death machinery, to help understand potentially pathologically relevant consequences that will help in the design of intervention strategies and the development of antiviral therapies. The final chapter discusses the control of the levels of different reactive oxygen species (ROS) and their interaction with hormones and transcriptional factors in relation with programmed cell death in leaves.